This month Wannemacher Jensen celebrated yet another fire station ribbon cutting (the firm has completed several fire stations, with several more in the queue). West Manatee Fire Station 1 replaced an outdated fire station, while adding about 2,000 square-feet of space (from 7,696 to 9,500 square-feet). The project involved the analysis of multiple sites; and the evaluation, design, and replacement of the existing station via the design-build delivery process. The new facility includes: three apparatus bays, an officers’ office, additional office, reception, laundry room, mechanical room, data room, medical records room, and break room. Living quarters consist of eight dormitories, three bathrooms, a dayroom and a kitchen with pantry and dining. New unique features include fueling on-site and parking for eight additional district vehicles including emergency response trailers. 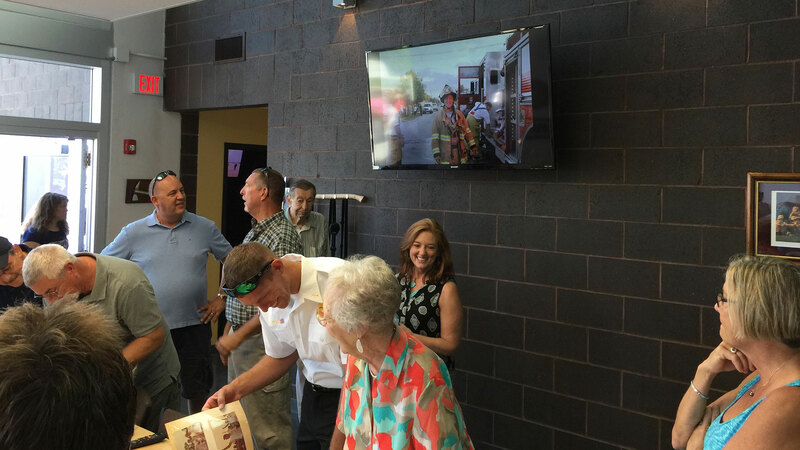 Last Saturday community leaders and neighbors joined fire officials for a public dedication ceremony and open house with tours, exhibits, and demonstrations. Information about West Manatee Fire Rescue is available at: WMFR.org. Further info is available on the West Manatee Firefighters Association Facebook page.